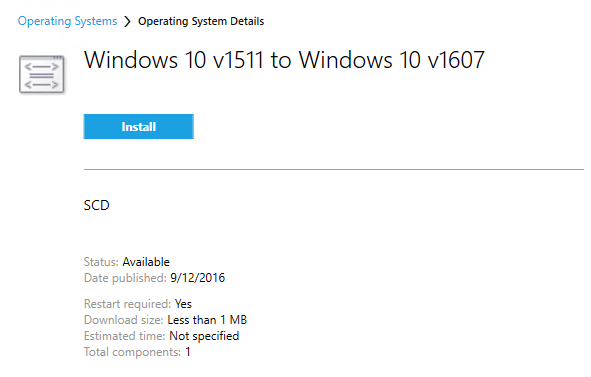 With the introduction of new Windows 10 service branches, you will need to upgrade your Windows 10 devices at a much faster pace. 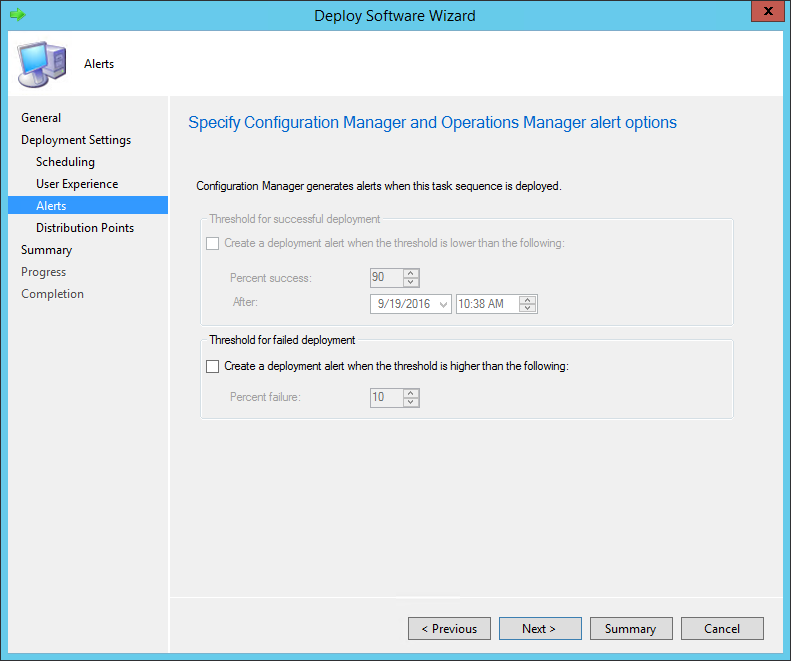 Hopefully, SCCM Current Branch (1511 and higher) has built-in features to help you fulfill this task. 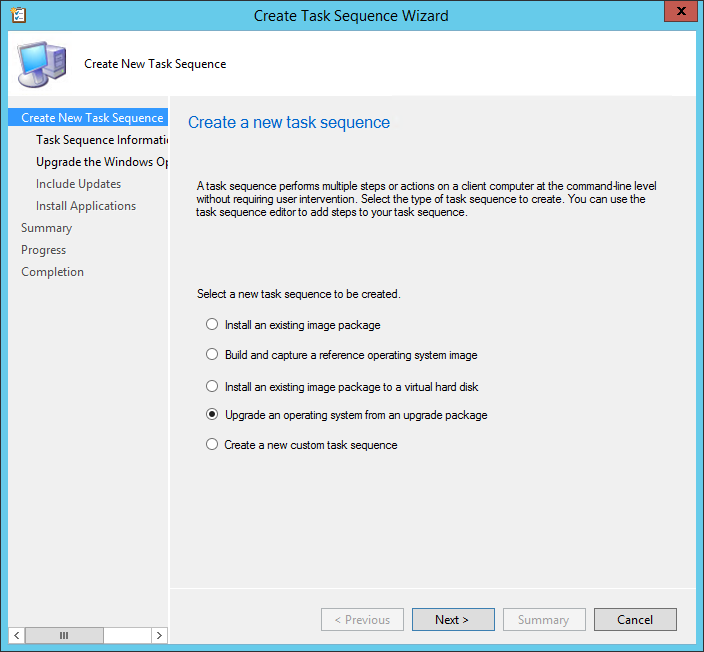 You can choose between Upgrade Task Sequence or the new Windows Servicing feature. 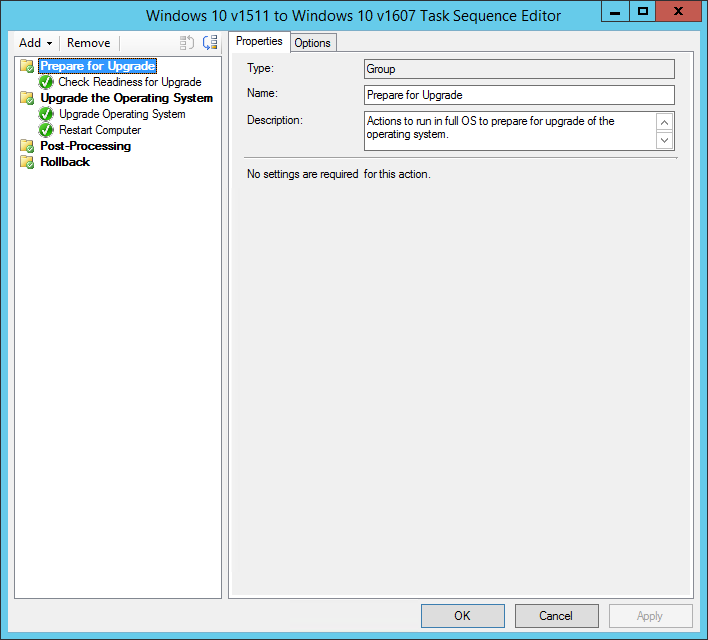 This post will describe how to upgrade Windows 10 using SCCM Upgrade Task Sequence. 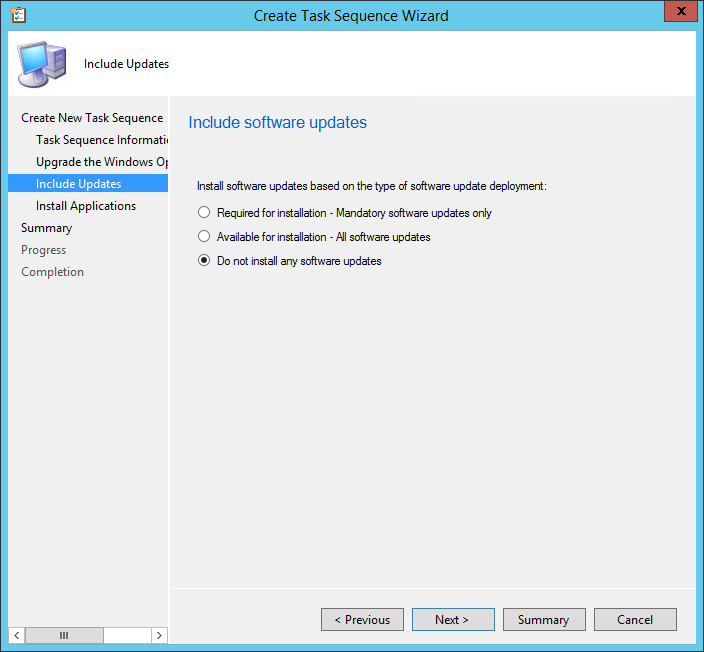 If you are running SCCM 1511 we recommend to use the Upgrade Task Sequence over the new servicing features. 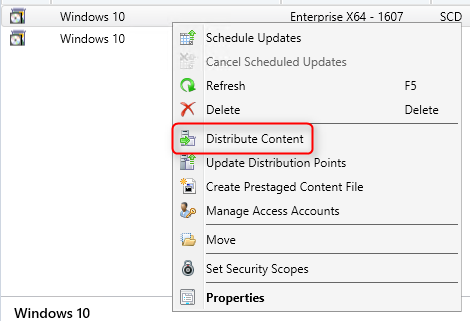 There is an issue in SCCM 1511 that make all Windows 10 languages and editions to be downloaded to the device when the ADR runs. 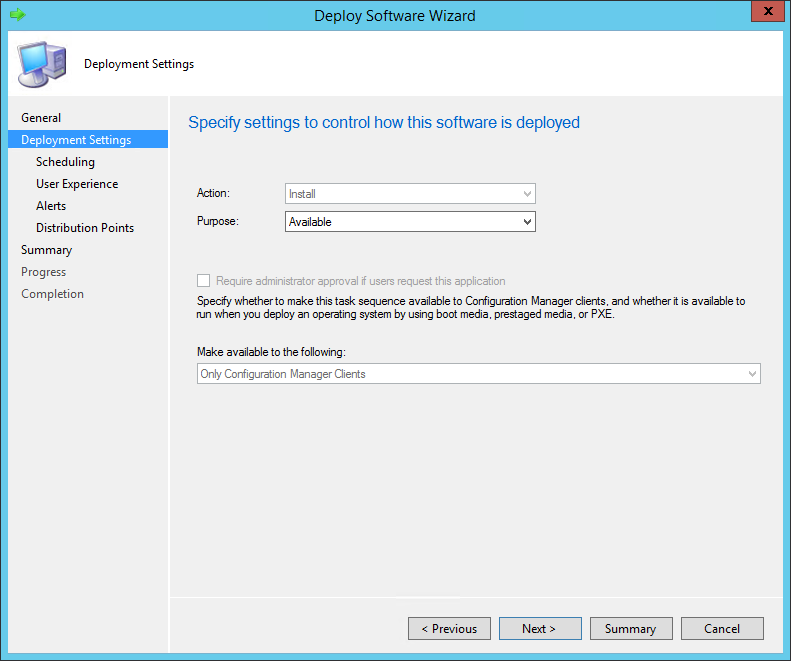 This is fixed in SCCM 1602, using a new filter you can exclude unwanted languages and editions. 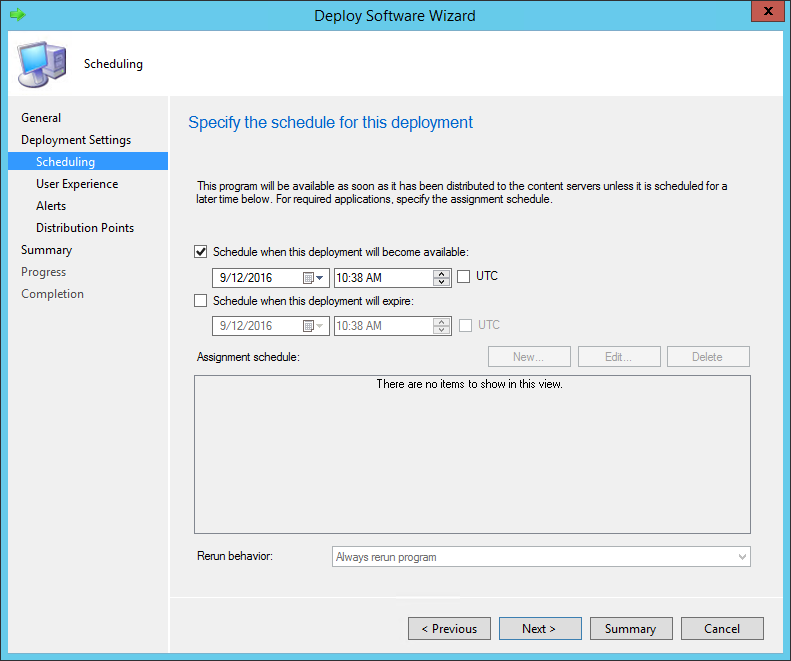 If you are running SCCM 1602 or later, it’s really a matter of preference of which process to use. Each one has their own advantages, the new servicing features is using the ADR/Software Update engine, the Task Sequence one is using Task Sequence engine. 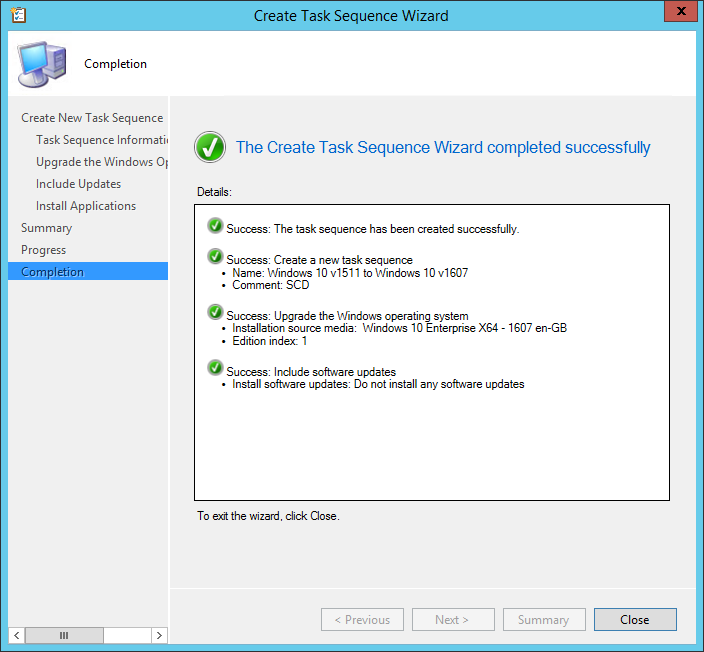 The Task Sequence method allows to run additional tasks after the upgrade or install new applications. Read both our post before making your decision or use both if needed. 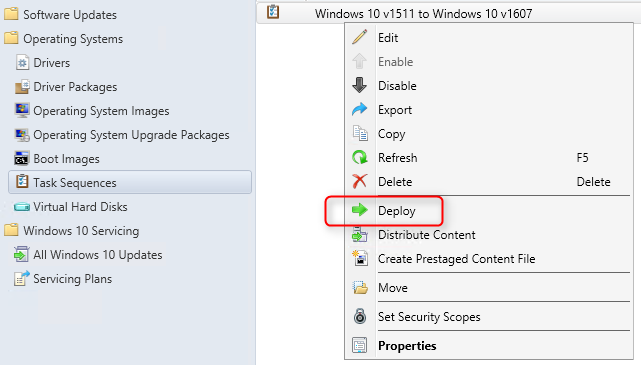 In this post, we will be upgrading a Windows 10 1511 to Windows 10 1607 using SCCM 1606. 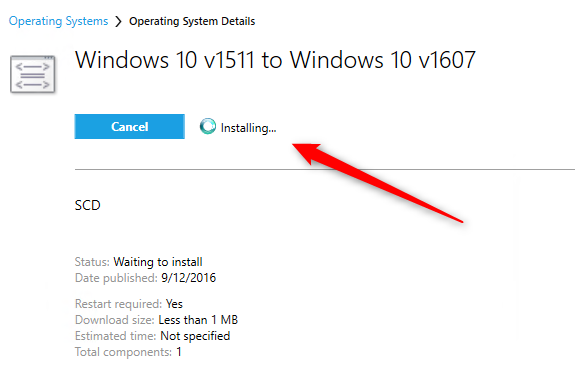 You can use this method to upgrade any upcoming Windows 10 release. 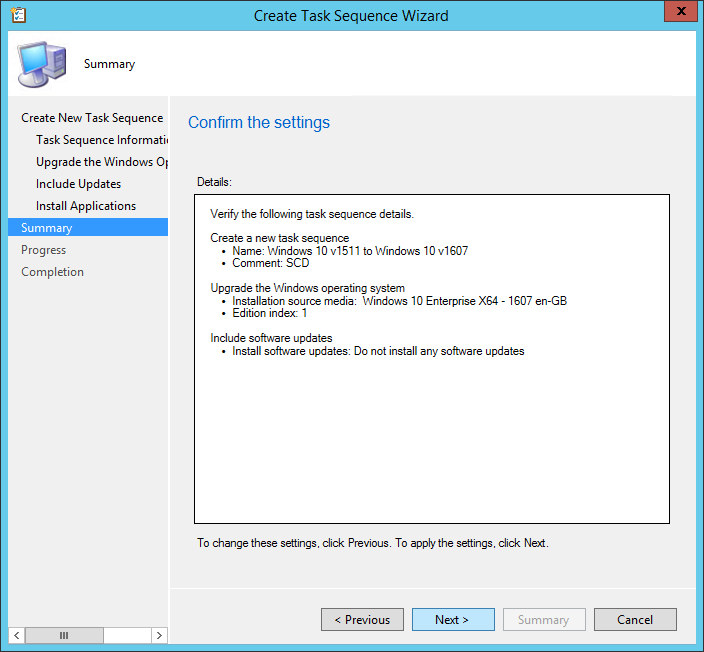 Refer to our other blog post if you’re looking to upgrade Windows 7 to Windows 10 using task sequences. 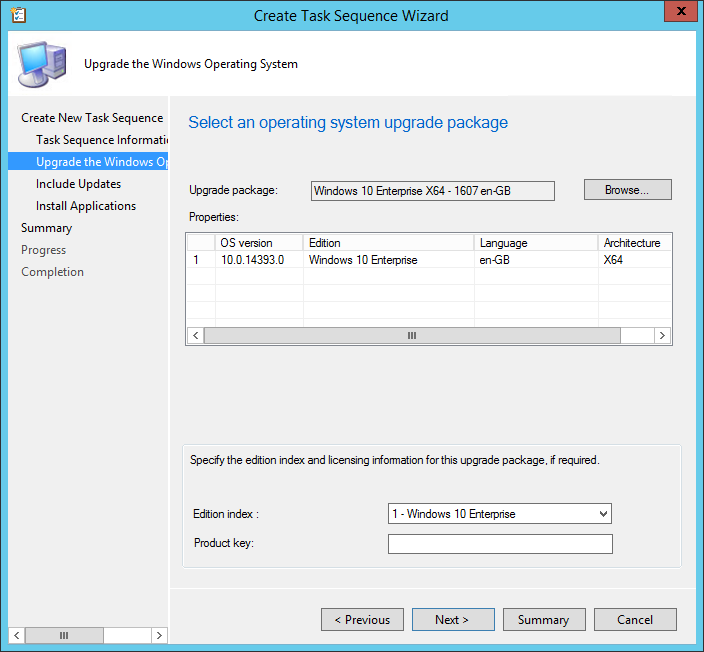 Now that our task sequence is targeted to our Windows 10 device, we need to open the Software Center to initiate the upgrade process. 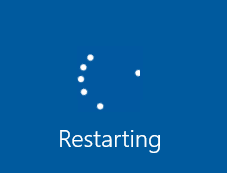 In the Start Menu, select Software Center. We are using the new Software Center, your screens may differ if you’re not. 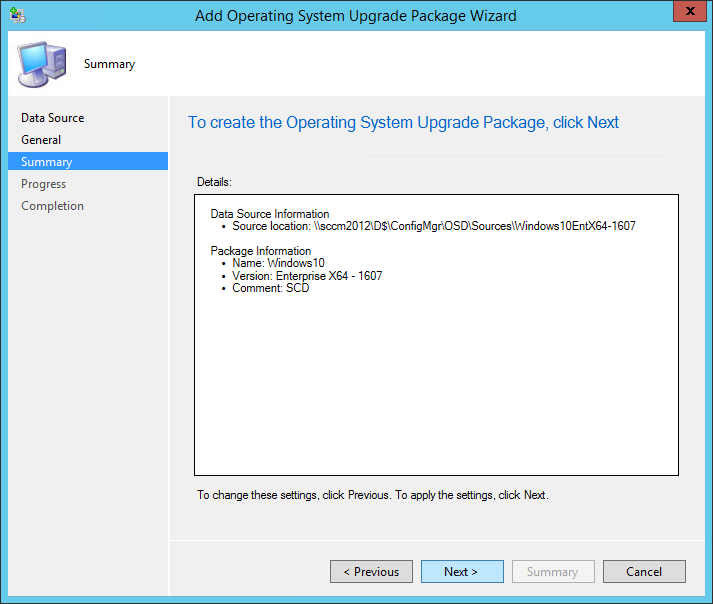 Use the comment section to tell which upgrade method you are preferring. Is there anyway to do a OS version test on this method before it runs the actual upgrade? My TS runs the update and a few SW updates but it will run on any machine even on a machine that already has the OS version on matching the OS version I’m updating to. So my TS is updating to 1803. If I run on a machine that has 1803 on it still runs the update creating a Windows.old folder at the end. 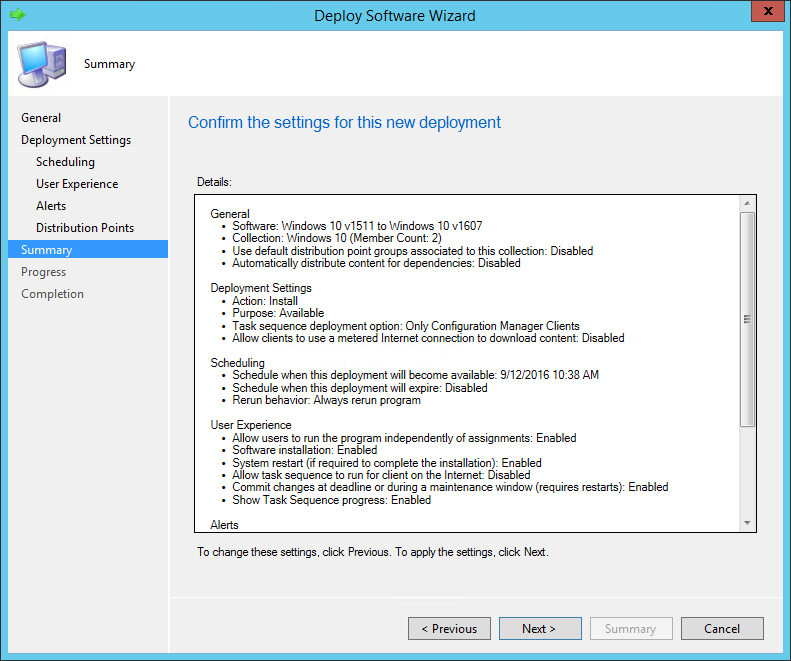 I’m guessing a WIM query is needed at the update part of the TS? 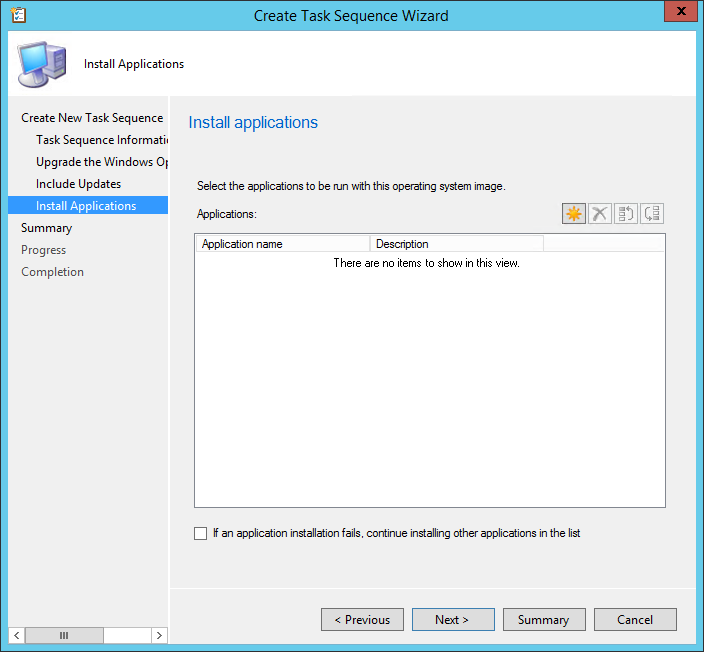 You should deploy the task sequence to a device collection with WMI query on OS build that you want to upgrade. 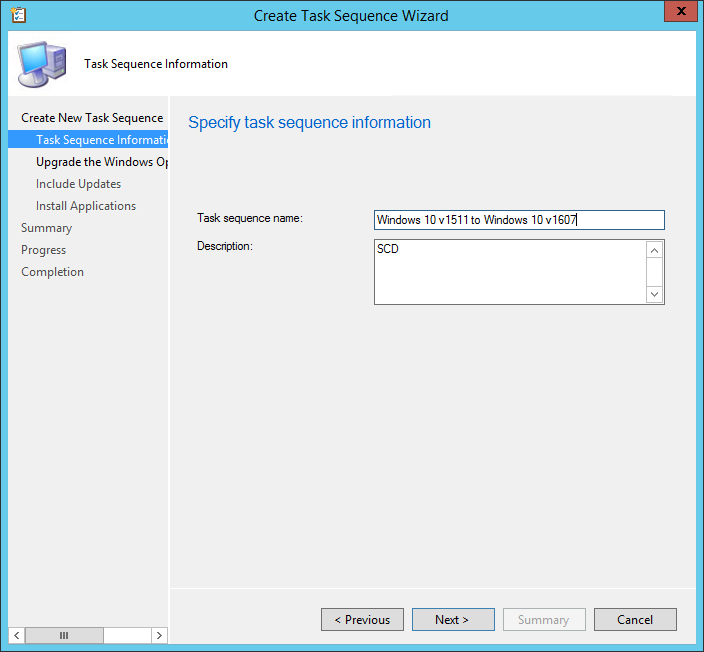 As someone new to SCCM I am missing where you get the ISO for the upgrade task sequence. I am in the same boat as scott as my .wim/.iso files that i captured are not been seen by SCCM. 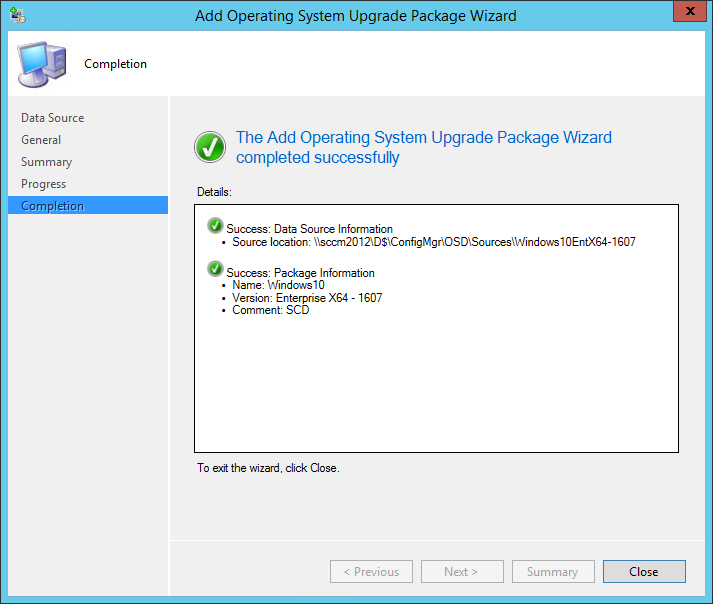 though informative, your step by step is missing a key to understanding what needs to be done to create the upgrade package. i try to upgrade but i use a custom wim files. i read some post that it’s not possible, is it the case? The permissions on the folder match the permissions on folders of other upgrade packages and those packages import fine. I’ve updated to the latest version of the Windows ADK but no joy there either. Can I ask where you got the ISO from? 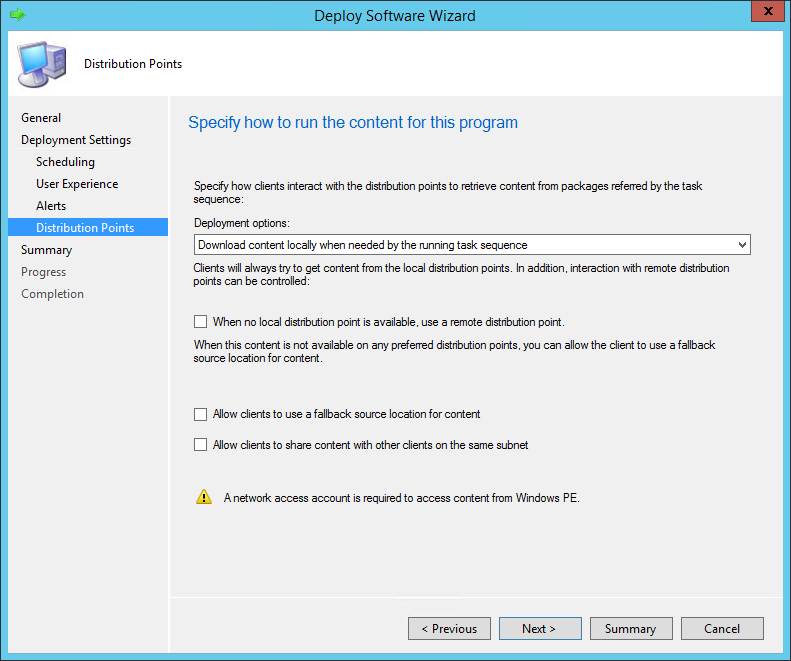 Is there a install.wim or a install.esd in the sources folder? If there is a install.wim in the sources folder, check you can add to the operating system images. I am also experiencing the same issue. The install file in \Sources is Install.esd. There does not appear to be an Install.wim in the 1803 edition. This is was downloaded from Microsoft VLSC and extracted from the ISO. Microsoft really needs to get their differing departments on the same sheet of music. 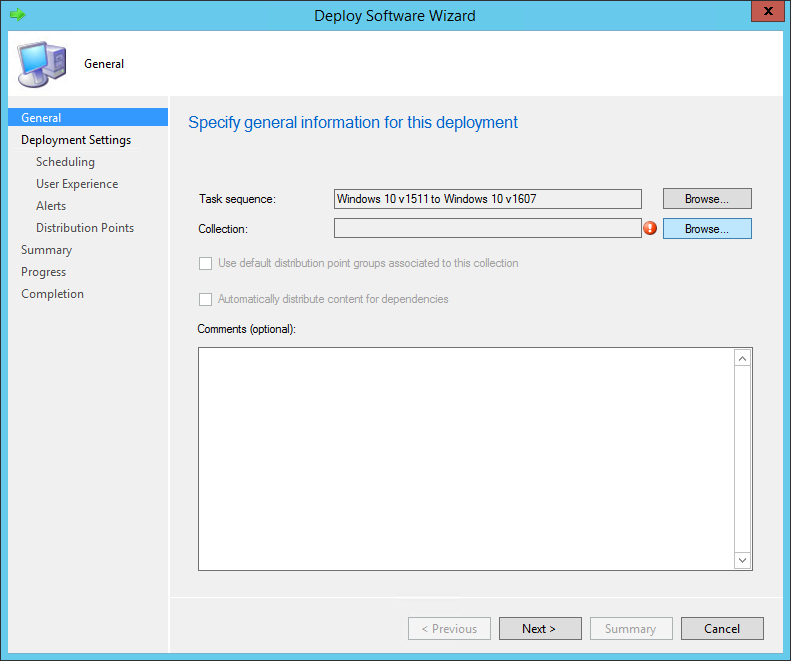 If they are switching to ESD from WIM format, then their deployment tools should really be able to speak ESD natively. 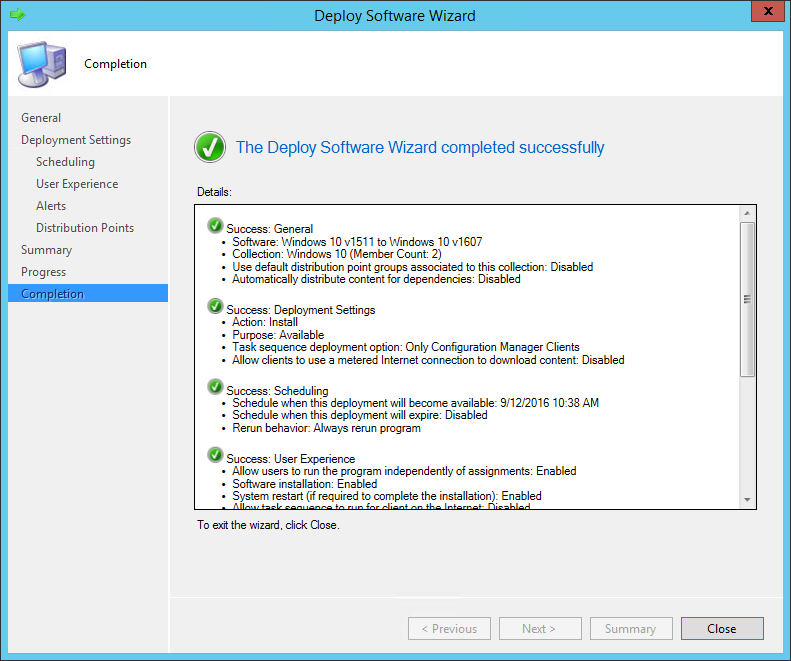 This is a great step by step but of my 3 sccm servers on 3 networks, only one will deploy the update. what should for to find out why they will not deploy? And I notice that after it rolls back to previous LTSB that the clients are broken. 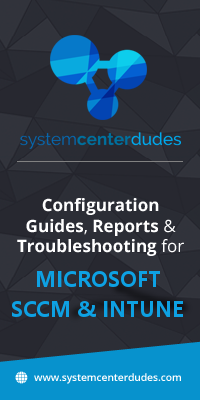 Cannot run any tasks from local configuration manager and Software Center also fails. 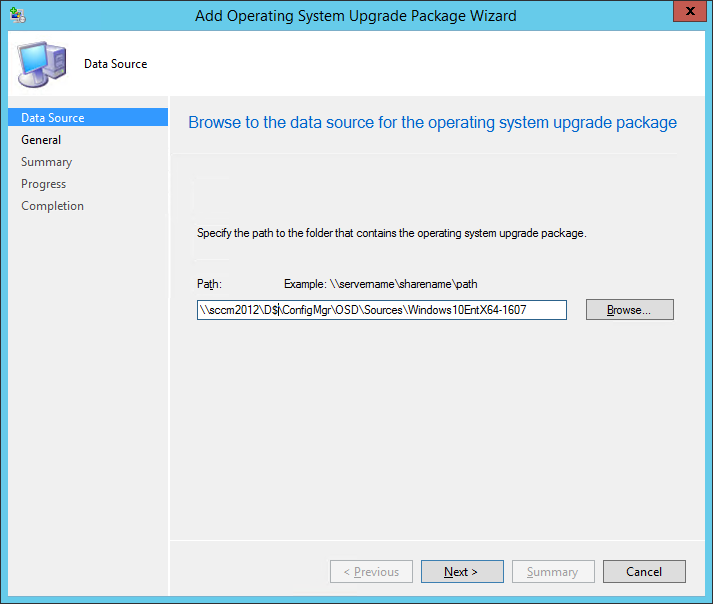 My upgrade TS from LTSB to Enterprise 1703 keeps rolling back to previous version. No error codes. The _SMSTaskSequence Log say it upgraded but it stays at LTSB. Software Center shows that it failed but the only error code is 0x5(5). Hi, great step by step, like allways. What I am missing in all read online documentations until now are following things. I hope that you can help on it. 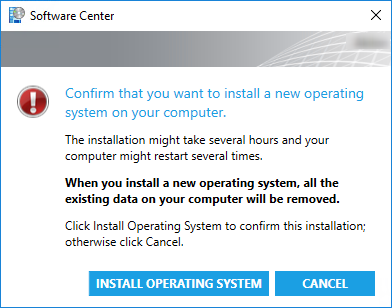 – How to update BIOS and Computer drivers. This would be very wisely since old bios & drivers might not work with new build, see Surface Pro Updates for Build 1703 for Example. 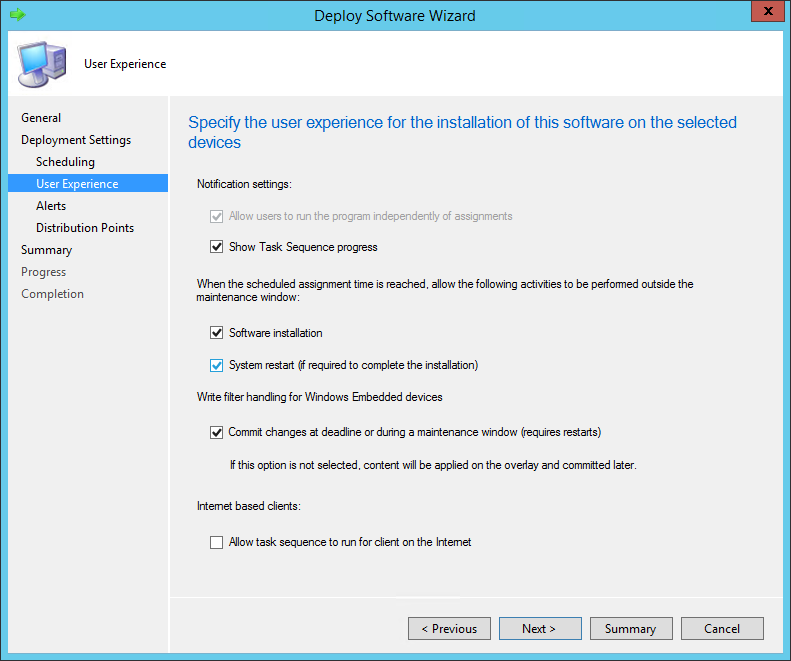 – Upgrade deletes previous custom settings. How can we keep old custom settings? Hi, great step by step. What happen’s when we have multilanguage clients? Hello, amazing guide, thank you ! 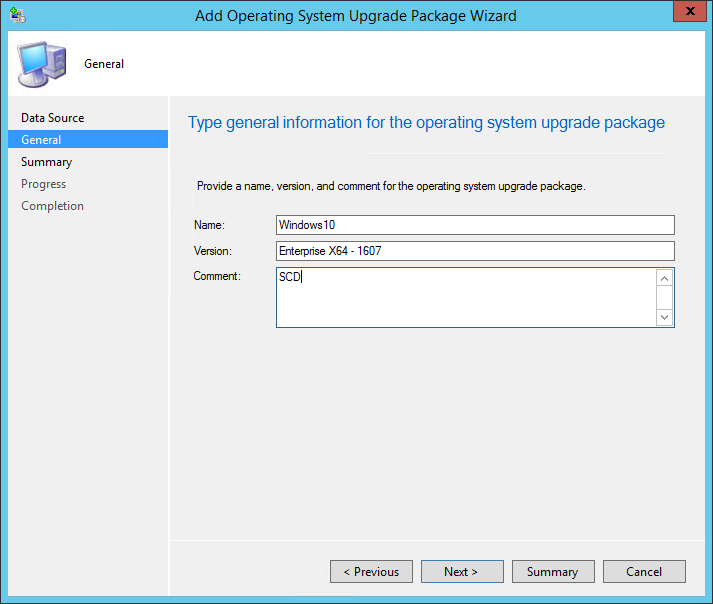 I have a question, I’m using SCCM 1606 with Windows 10 ADK version 10.0.26624 (RTM) and I’m not 100 % sure if I also have to upgrade to ADK version 1607 in order to upgrade my Windows 10 1507 workstations to the latest Windows 10 1607 (Anniversary Edition) ?